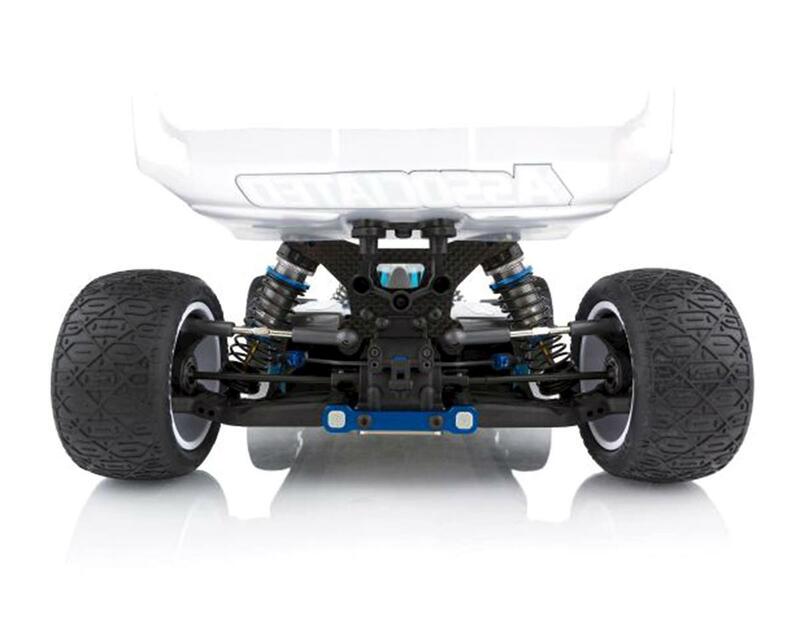 The Team Associated RC10 B64 Club Racer 1/10 4WD Off-Road Electric Buggy Kit is perfect for anyone looking to get into 1/10 4wd buggy class racing. 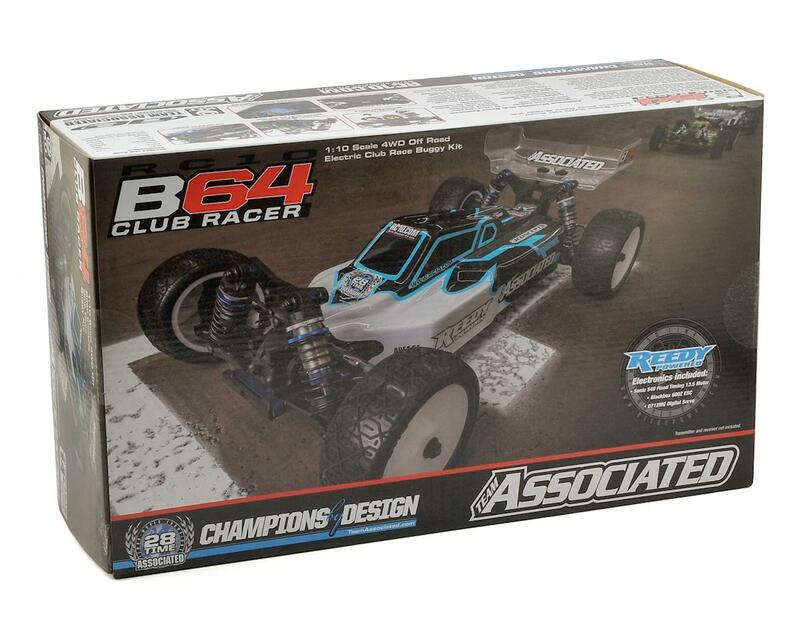 Designed with the entry-level racer in mind, the B64 Club Racer comes out of the box with: big bore shocks, three differentials with lightweight internal gears and precision ball bearings. Plus, it’s fully upgradable to compete at the pro level using Factory Team option parts. 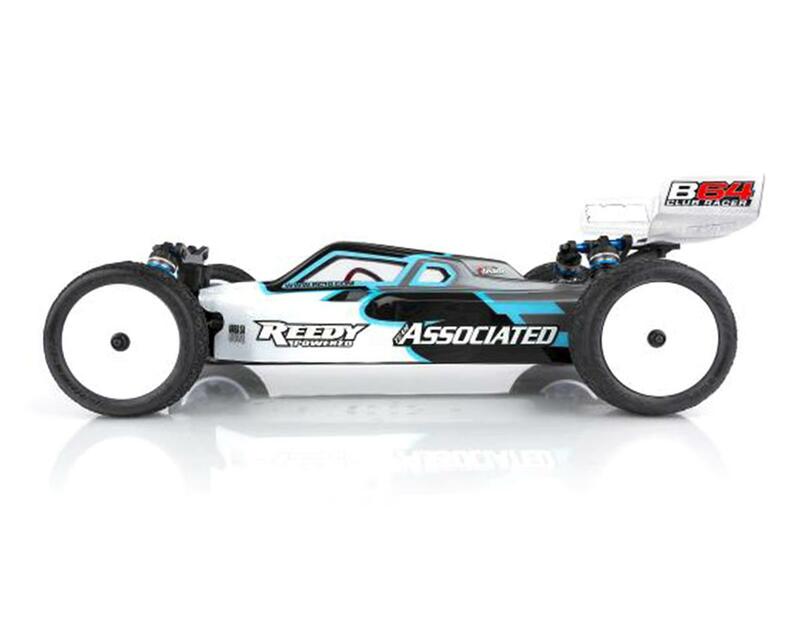 Also included is a Reedy Power 13.5 Fixed Timing Brushless motor, Blackbox 600z Brushless speed control, and high-torque digital servo. The B64 Club Racer delivers speed, durability and world champion lineage that make it a great option for racers of all levels. NOTE: Wheels, tires, and painted body shown in photos are for illustrative purposes only and are not included. See needed to complete list below for a full list of items required to complete the model. Reedy Sonic 540 13.5 Fixed Timing motor produces maximum power output and RPM thanks to an updated stator design, pure copper magnet wire, and low-resistance collector rings. ROAR approved and meets BRCA and IFMAR specs. Reedy’s Blackbox 600Z Zero Timing Sensored Brushless Competition ESC is a simple-to-use, yet powerful ESC for Spec class racers. Excellent throttle and brake feel, a wide range of adjustability, and robust hardware make the Blackbox 600Z suitable for a variety of Spec racing applications. 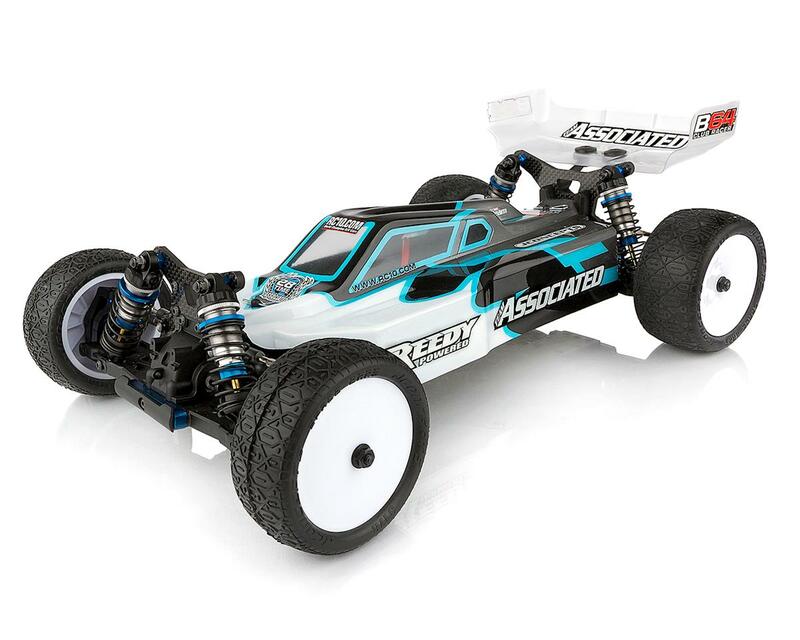 The Reedy 0712MG Metal Gear Digital Servo is race-proven and feature numerous enhancements including precision metal gears for added strength and smooth operation, and an advanced microprocessor that improves vehicle control and on-track performance. This car is the best value out there!! 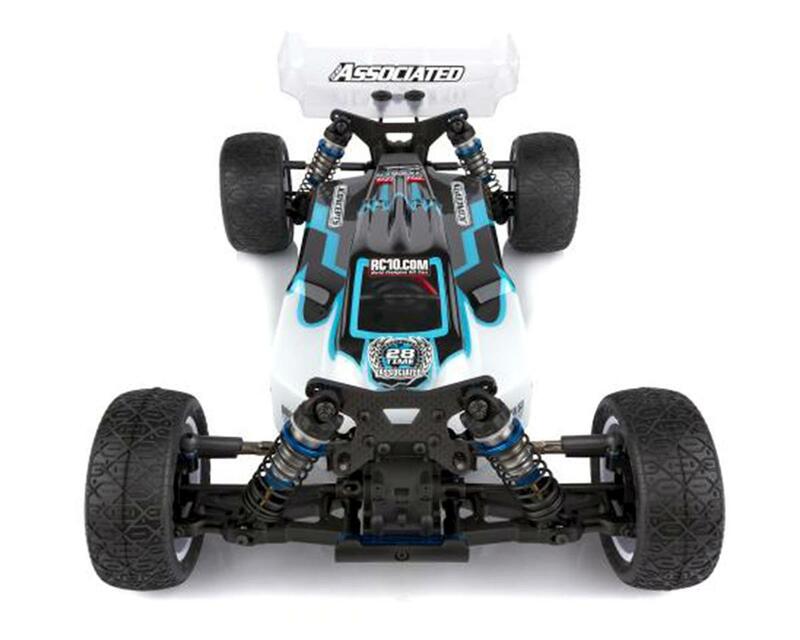 It comes with the lightened diff gears for better acceleration and the reedy system that has tons of power!! The build was awesome but I was missing a part. I called team associated and they sent me the replacement parts without any hesitation. I first ran it on AstroTurf at Thornhill Jr. and the car was just dialed right out of the box! On one of my practice sessions, the reedy esc case cracked and I called associated and they also sent me the replacement part without any hesitation!! (this is not a common problem because other racers at my track have the same esc and they have not had any issues) Basically, the car is amazing, the value is amazing, and the support is incredible!! 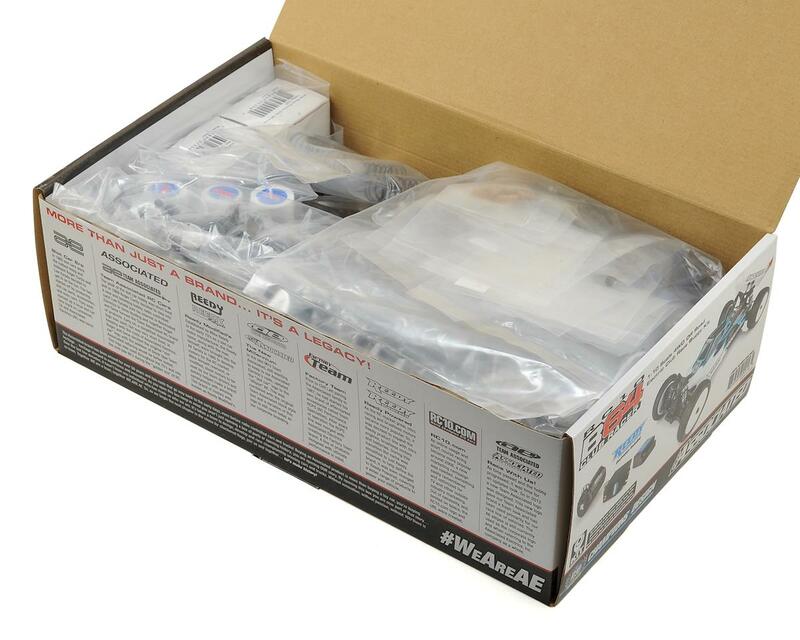 Buy this kit if you want a 4wd buggy!! 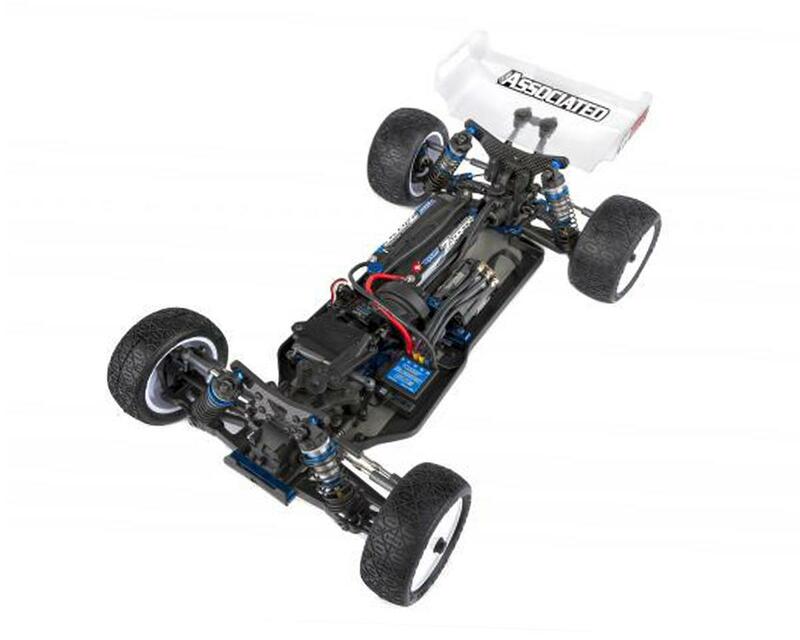 This buggy handles great out of the box, only change I made was Type 1 steering arm. Easy to drive, durable. For under $500 not a bad deal. Plenty of power with the Reedy 13.5 turn motor.